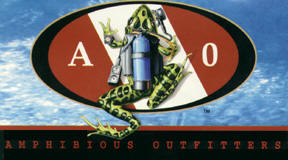 We carry only the best in SCUBA and snorkling merchandise. Moreover, we are the area's exclusive vendor for such quality name brands as Aqualung®, Ikelite®, Sea and Sea®,JBL®, and Henderson®. Our inventory includes everything you will need for SCUBA or snorkling; including masks, fins, snorkels, regulators, buoyancy compensation devices, spear guns, wet suits, and accessories. All our merchandise is absolutely unconditionally guaranteed: we stand behind every item we sell. 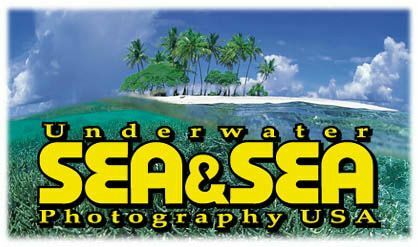 What about sales of SCUBA equipment online? Please read this carefully. Most scuba equipment manufacturers prohibit mail order / internet sales of their gear for the following reasons. Each of these full-line manufacturers prohibits the sale of ANY of their products by mail or by internet due to the nature of the product. Scuba gear is classified as life support equipment, and as such, requires appropriate training and certification to be used safely. It is imperative that distributors of this equipment be able to accurately determine that their customers have such training. Anyone claiming to be an authorized dealer of the above lines of gear who sells it through the mail or over the internet is guilty of one of two things: Lying about being an authorized dealer. This means the product you buy from them will have no warranty and you will be doing business with dishonest individuals who misrepresent their credentials. Violating agreements with the dealers who have authorized them to distribute their equipment. This means you will be doing business with dishonest individuals who have no regard for business ethics. These individuals should be reported to that manufacturer to have their dealership revoked. Manufacturers have the right to choose who represents their product line. Its just good business, it insures that the product line is represented by a qualified network of authorized dealers, and that the product line reamains a safe and valuable asset to the users. We welcome every opportunity to provide quality products to you, but we will not break contracts with our manufacturers. Our success is founded on honesty and integrity and we want to maintain a solid base in these areas.